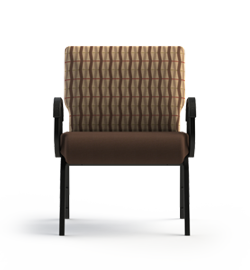 The PCB-901-Series of chairs has limitless applications! 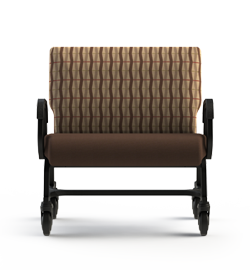 While they'd work well in a waiting area or other group seating area, the 5" swivel caster option gives you the freedom of movement to go virtually anywhere. 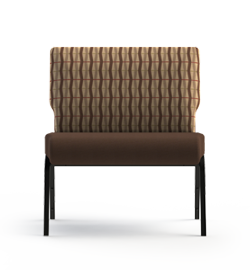 Two different seat sizes offers versatility when designing for group spaces (especially when matched with our smaller, PCB-801 series) for a seamless, attractive look! But the best part is knowing that, at a minimum capacity of 600lbs, you will have peace-of-mind, knowing you will have an accommodating, attractive, and safe environment for your clients. Quick Ship in Root Beer Vinyl Seat and back in 24-48 hours (Standard Legs). Ships in 12-business days or less for all other upholstery (with wheels)! Ships Via: Fed Ex Fully Assembled!!! 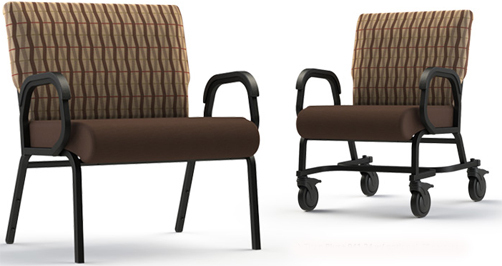 Between Arms: 24" or 30"
Seat Height: 18" or 20"
Arm Height: 25.5" or 27.5"
Upgrade the Seat Height to 20"